Happy Meal and I were on a Las Vegas pilgrimage. Las Vegas continued its burger renaissance, and Fat Choy had been making some lists of up and coming establishments.We made Fat Choy our first stop. Parking was free in the attached, uncovered lot. That also meant that the car got nice and hot in the 111 degree heat as we dined. Fat Choy is located in the Eureka Casino. This is a tiny casino a few blocks off of the strip. I ordered a $10 Fat Choy Burger with all of the messy toppings on the side. My burger arrived in about 20 minutes. The Beef: The beef in the Fat Choy Burger was 100% Certified Angus Chuck. 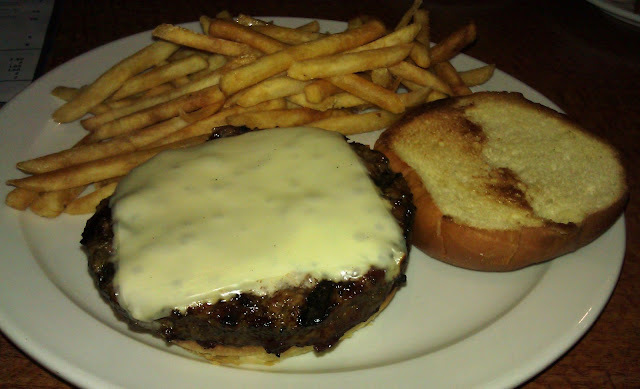 While the cheeseburger was moderately beefy, it lacked any further complexity. That was probably why the routine at Fat Choy was to obscure their burgers under heaps of toppings. The Fat Choy Burger came with braised Short Rib. Bacon, a Fried Egg, Lettuce, and Tomato. Without these things, the beef was left to stand alone. The beef was sourced from National Beef. The 8-ounce patties arrived pre-formed. It was juicy. The fat content was 20%. All told, the burger meat was just fine. The Seasoning: The exterior of the burger patty was sprinkled with a little salt...just enough to enhance the beefiness from the ample collagen in the ground Chuck. 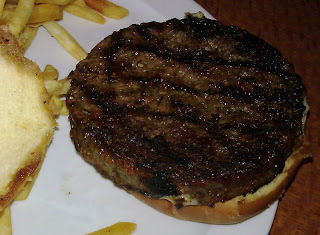 The Sear: The kitchen at Fat Choy got a decent sear onto my burger with very hot, gas-fired grill. As I watched the burger patty cook, I was pleased to note that the kitchen did not fuss with it. This allowed the sear to develop. The Preparation: There wasn't much to it at Fat Choy. The 8-ounce patties were pre-formed. The kitchen delivered a competent Med-Well burger, and the egg was a perfectly runny, sunny side up. 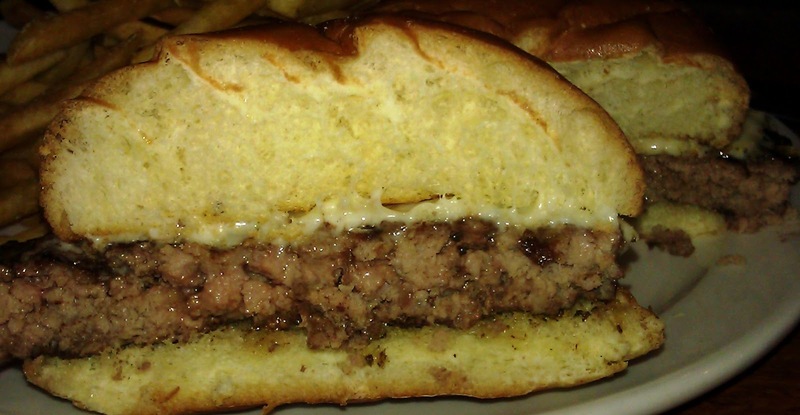 The Cheese: The White American cheese that topped my cheeseburger was nicely melted. It provided just enough salt and iron to round out the bite. The Bun: The burger bun at Fat Choy arrived courtesy of La Brea Bakery. The Brioche-style bun was adequately toasted, and it delivered a slight crunch. Otherwise, the bun was completely neutral. The Toppings: The Iceberg lettuce and tomato were both fresh and ripe. The Short Rib was savory and tender. It reminded me of my mom's pot roast. The bacon was savory and smokey. The fried egg was perfectly prepared. I re-assembled my Fat Choy Burger. The result was a very sloppy and unfocused bite. I gave up after two bites and made a trip to the restroom to wash my hands. The Fries: The fries at Fat Choy arrived par-cooked and frozen in bags. The kitchen cooked the peel-off, shoestring fries in properly hot canola oil. The fries arrived hot, crisp, lightly browned, and properly seasoned. 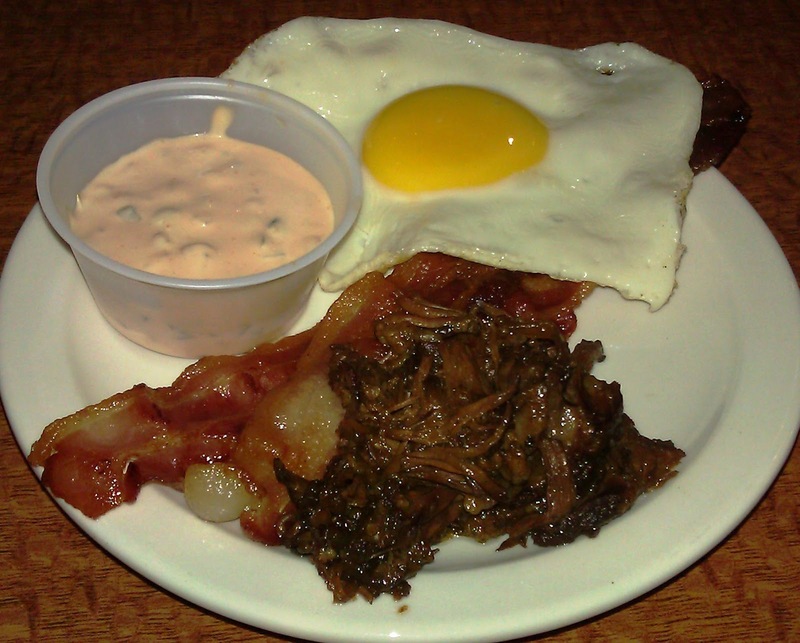 The Value: Ten bucks for a half-pound cheeseburger with bacon, egg, Short Rib,and fries....not bad. Fat Choy was our first stop on our second burger crawl of the year. It was a fine way to kick things off. Burger Review : Fat Choy served up a better than average cheeseburger at a better than average value.